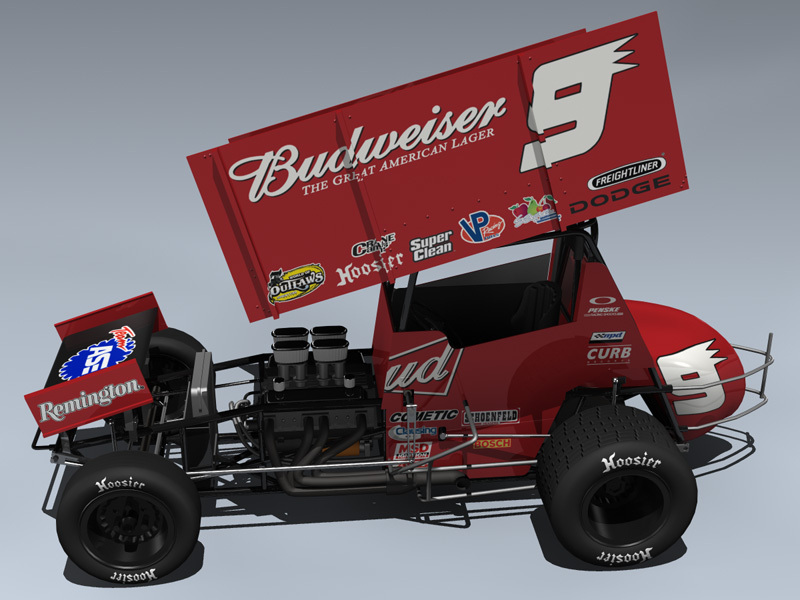 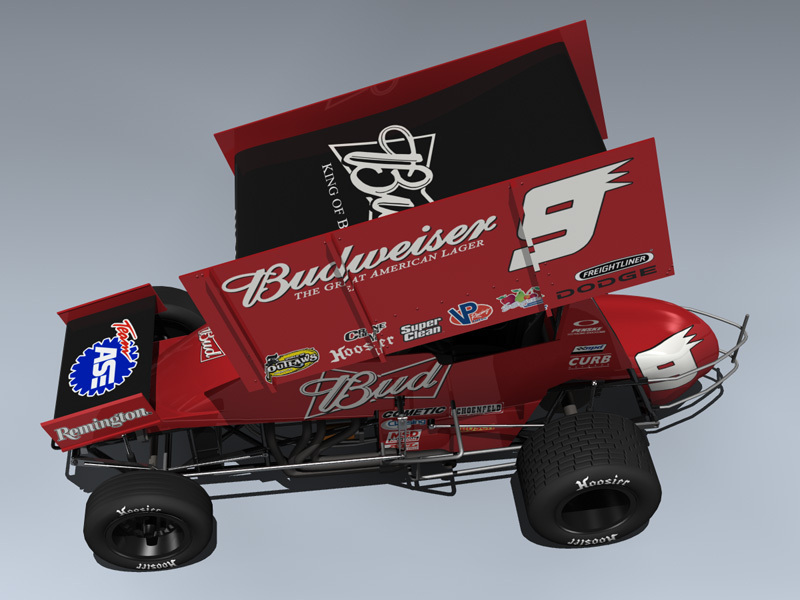 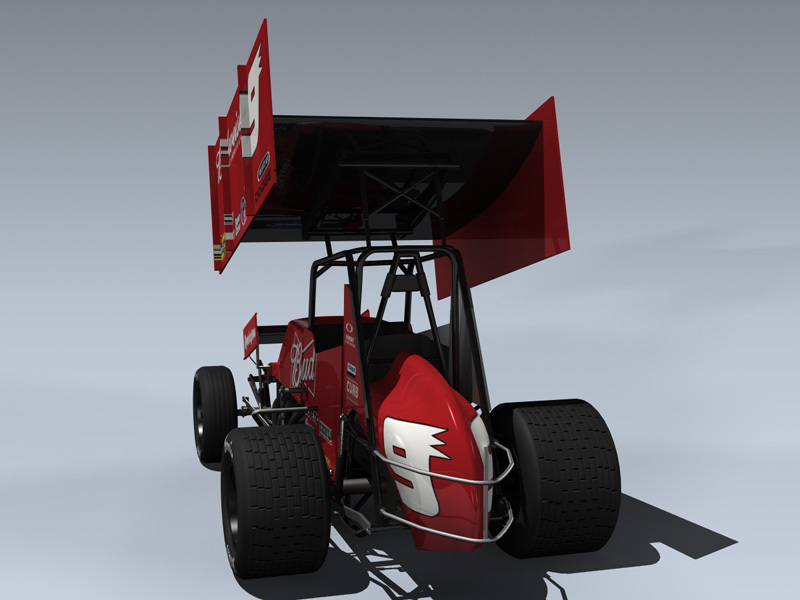 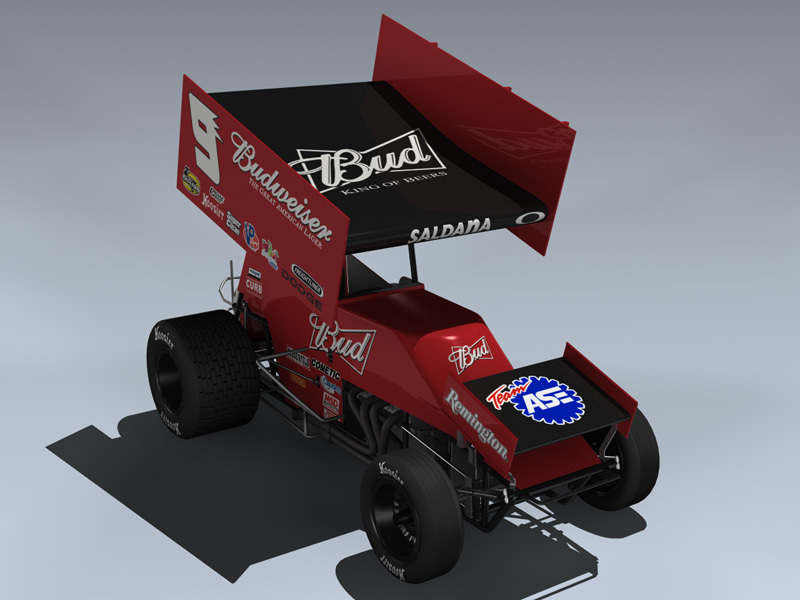 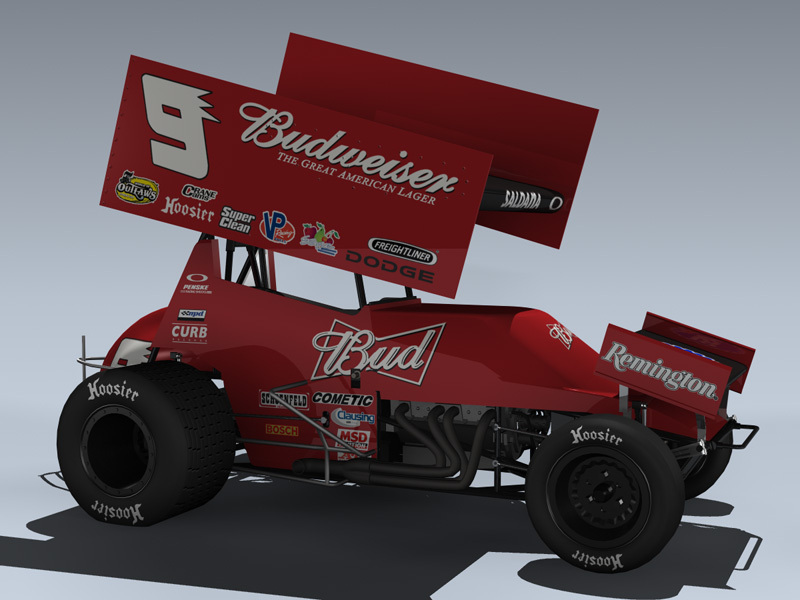 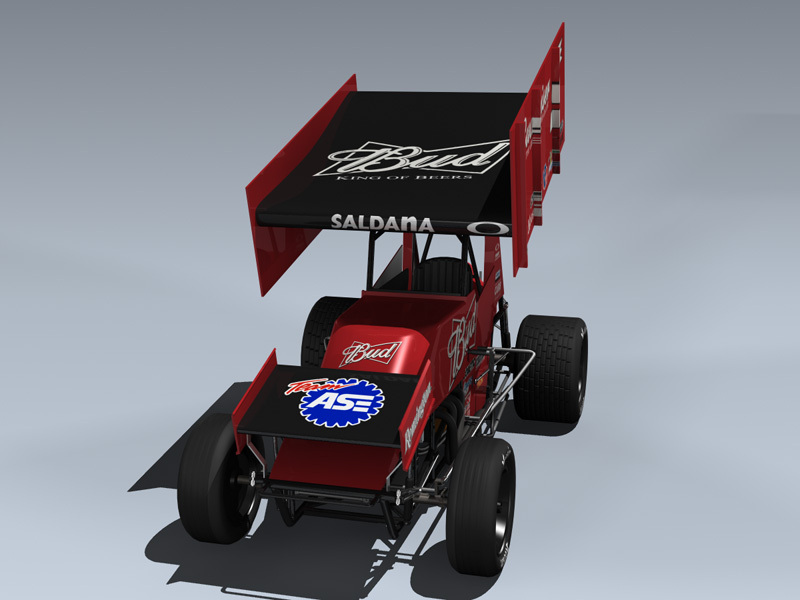 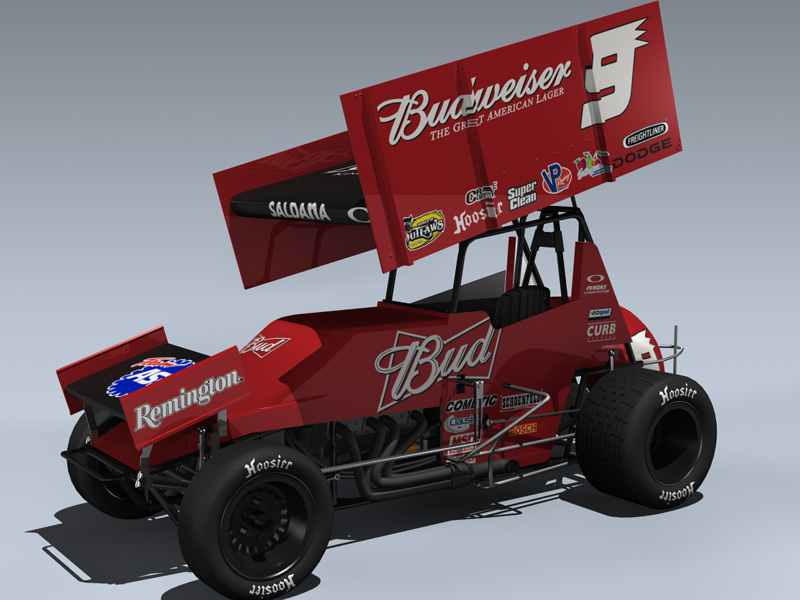 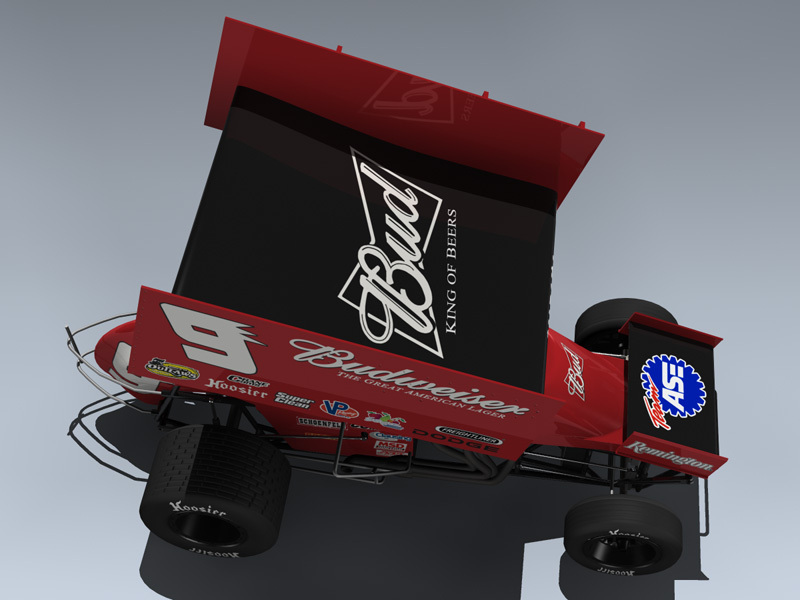 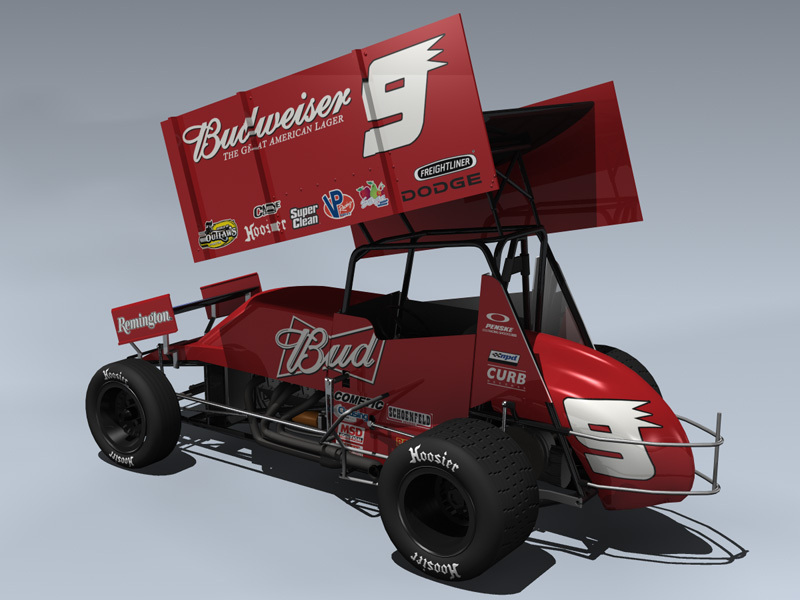 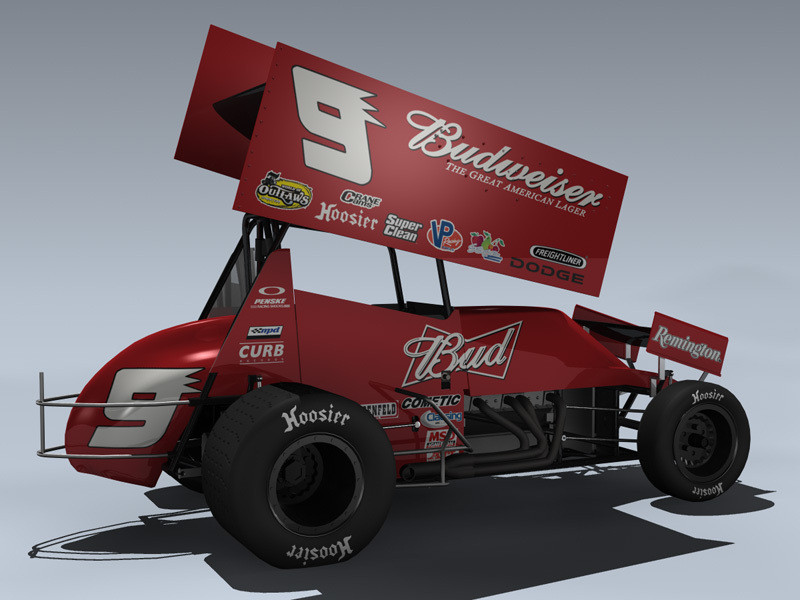 Very detailed Saldana #9 World Of Outlaws sprint car. 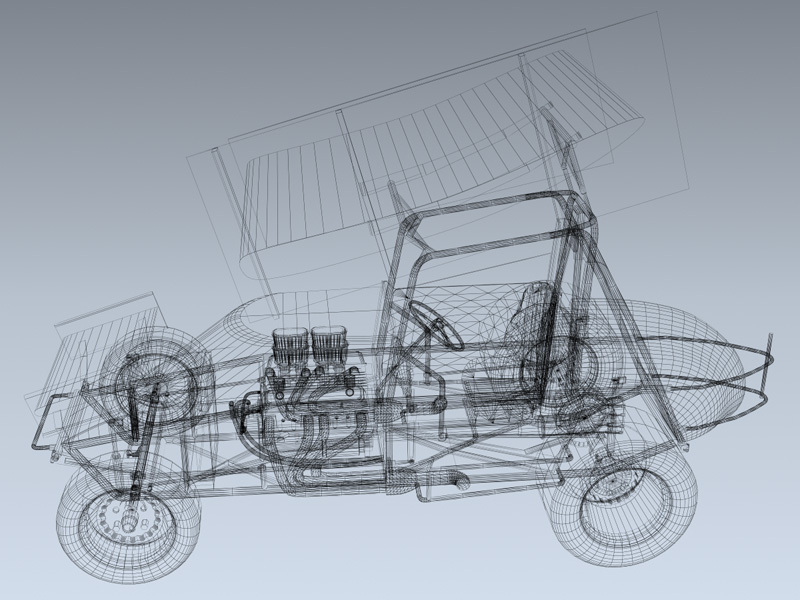 Steering and suspension are separate objects for animating. 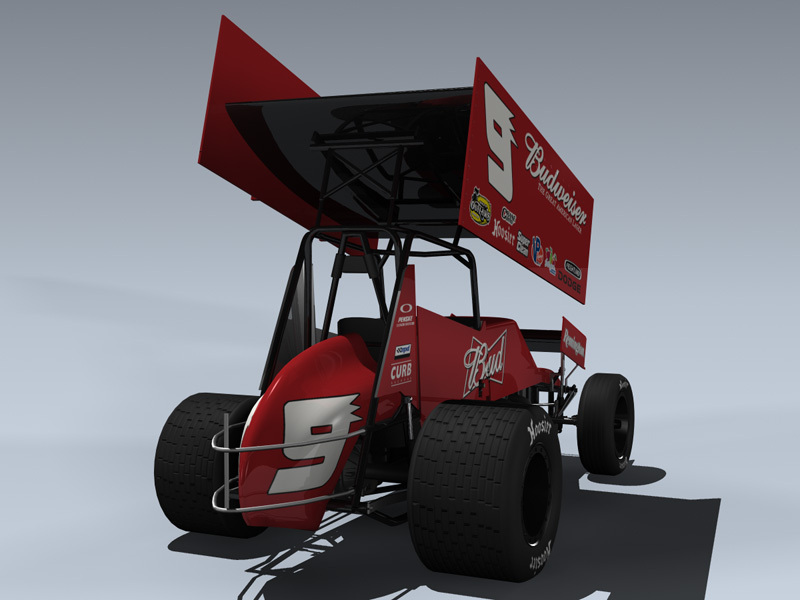 Engine is very detailed.